Price includes 3 (three) gift boxes. Lighted Trees and Tea Light Holders are sold separately (check our other listings). Now that you have found the perfect Christmas gifts, present them in extraordinary gift boxes! Our beautiful Holiday Gift Boxes come to life when candlelight glows on their semi-reflective surfaces. These wonderful gift boxes will be one of your favorite holiday decor items for many years to come. An artisan touch is added to aluminum to create these bright holiday offerings. Large boxes stack or nest and are hand-punched with festive patterns inspired by traditional designs found in Scandinavia. Folk designs also adorn eye-catching, lightweight ornaments and garlands in traditional holiday shapes. One of the most elegant Christmas Gift Box Sets we have ever seen, they will add a touch of style and atmosphere to your holiday decor. Stack these gift boxes under your tree, or anywhere in your home for a beautiful holiday display. Fashioned from durable materials, these gift boxes provide a modern alternative to traditional gift boxes or gift wrapping and can be re-used year after year. Each box set is tower style, 3 different sizes. Price is for the set of 3 (three) boxes: 12.75" sq x 10.25" h, 15.25" sq x 11.75" h, 17.75" sq x 13" h.
Celebrate the most joyous season of the year with our brilliant collection! We've got plenty of Christmas decorating ideas which will make it easy to transform your house into a warm and inviting place for the holidays. We've brought together many Christmas favorites and added a new and unique selection of holiday gift ideas which we hope will bring you much delight. 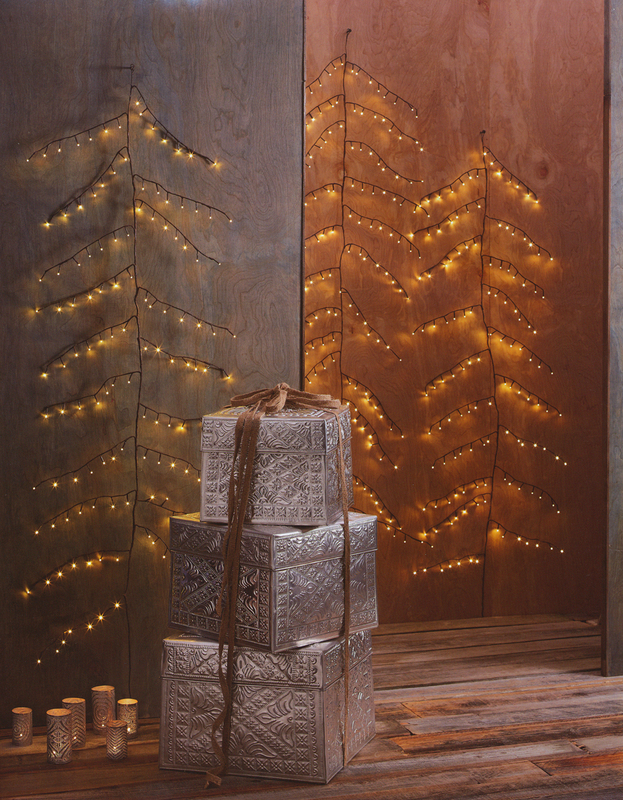 Transform your interior in the blink of an eye with our unique Christmas decor ideas collection. For a refreshing modern take on the holidays, shop our unique selection of hand picked Christmas gifts and decorative objects. Christmas is all about creating the right atmosphere so check out our amazing collection of wonderful Christmas ornaments, our attractive Christmas Trees, wreaths, Christmas lighting, our beautiful Christmas-tree shaped wooden advent tree, tabletop decor, jewelery and a wide variety of Christmas presents. Discover the best Christmas shop around with a wide selection of meaningful gift ideas and unique and highly decorative interior. Shop nova68 for the best in Christmas and Holiday decor. This gift box set is hand made by master artisans which is precisely the reason we like it. Each is a "one off" piece, entirely made by hand. Please note that due to this peculiar uniqueness, customer must be able to accept understandable variations in shape and coloring as well as minor imperfections that are normal for unique hand made objects. Our Gift Box Tower Set is made with aluminum: each box may vary slightly in appearance.